Witnessing children being excited by a new experience, when their imagination has been opened to a new world of magic is one of the most rewarding moments as a teacher. 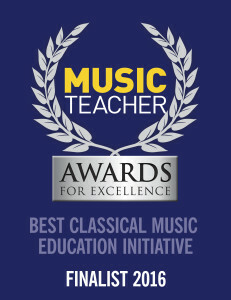 Our bespoke workshops with classical music performed live to your class can be such a moment. They increase children’s ability to listen and to concentrate, to establish emotional sensitivity and give children access to a huge musical heritage. "The sessions really supported their learning. They were able to work with a well known repertoire of classical pieces using them as a springboard to access their feelings and produce a wide range of writing; this worked particularly well with the more creative aspects of the English curriculum." 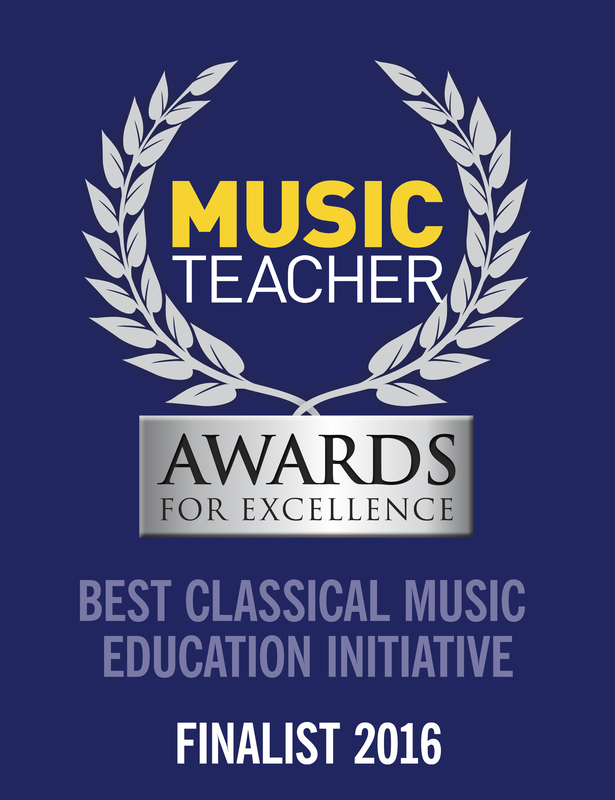 Proud to be shortlisted for the Music Teacher Awards for Excellence 2016! Help us to inspire new music lovers! We proudly present: Our first charity concert! 3 Minutes to support our work!